Each week, visitors will be able to see invited designers/artists in residence in the Designology studio, who will be working on a project brief and interacting with a weaver. The weavers will be interpreting the residents work live into digital woven textile prototypes and final works on a state-of-the-art TC2 digital jacquard loom. UK based British design studio, Wallace Sewell, was established by Harriet Wallace-Jones and Emma Sewell after graduating from The Royal College of Art in 1990. Their diverse portfolio includes scarves for the Tate museums as well as moquette fabric designs for Transport for London’s underground seating. When exhibiting for the first time in 1992, their pieces created much enthusiasm and interest, particularly from Barney’s, New York who placed an order for scarves. This proved instrumental in kick starting the Wallace Sewell brand. Barneys are still buying today and Wallace Sewell now supply over 200 stockists in 20 countries. They have worked with various boutique hotels, designing and producing bespoke bedspreads and more recently have been invited to be guest designers for an international retail brand. Working from their studio in London and their Dorset outpost, this progressive design duo pioneers excellence and originality within their woven products. Combining innovation with practical solutions, Wallace Sewell is known for their use of colour, structure and yarn in surprising geometric formats. Inspired by paintings, they create individual contemporary fabrics with strikingly bold, asymmetric blocks and stripes of varying scales, which bring together a plethora of elements within one piece. Strongly influenced by the Bauhaus for its aesthetic and design ideology, Wallace Sewell strives to unite craft and manufacturing, embracing traditional techniques. 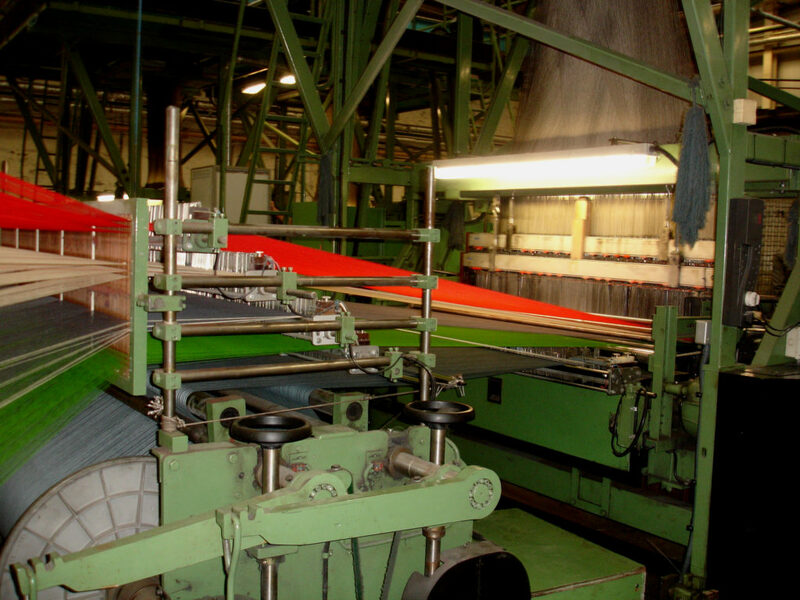 The initial design process begins on handlooms in the London and Dorset studios. Production then takes place in a family run mill, fusing tradition with state of the art technology, allowing flexibility in order to weave a variety of qualities from small batches to larger quantities. Fabric is then washed and pressed at the finishers to give the cloth a luxurious handle. Since Wallace Sewell’s launch, Emma and Harriet are proud to have always worked in the UK, embracing the British Textile Industry for it’s wealth of expertise and production excellence. 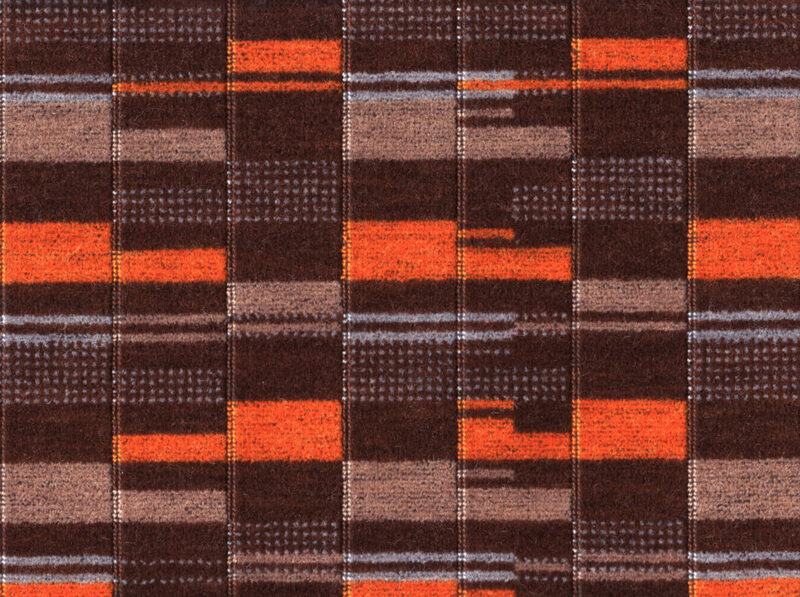 Following in the footsteps of design pioneers such as Marianne Straub and Misha Black, Wallace Sewell have been honoured to work with Transport for London, designing a number of moquette seating fabrics. 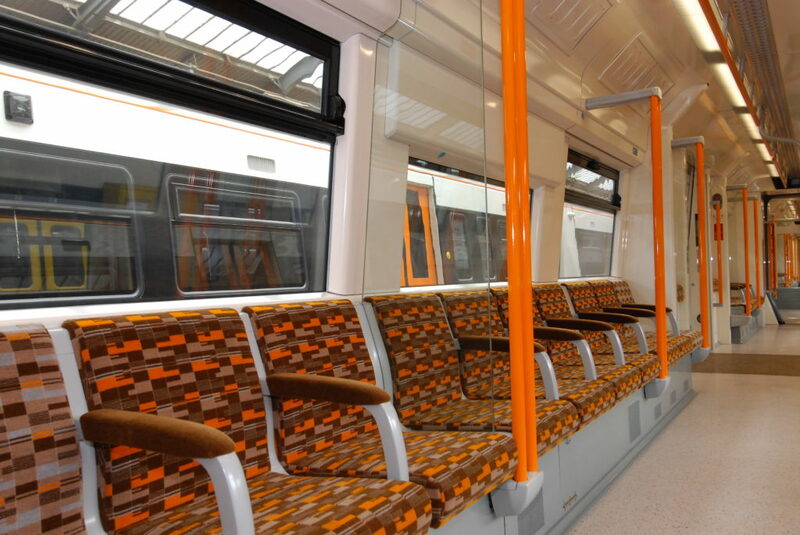 They first won a competition to design the overground moquette, followed shortly by the Wimbledon to Croydon tram link. They have continued to work on other projects and more recently won a further competition with their iconic design for London depicting various city landmarks such as Big Ben, The Houses of Parliament and Tower Bridge. They continue to work with TFL with more challenging and exciting projects in the pipeline. Wallace Sewell are also exhibiting concurrently with the Weaving Futures season at Central Saint Martins Museum and Study Collection, window gallery at Kings Cross, London until January 2017, as part of the celebration of Central Saint Martins alumni moquette weave designers from the BA Textile Design Course. The other designers include Eileen Ellis, Marianne Straub and Enid Marx. This entry was posted on Tuesday, November 22nd, 2016 at 11:10 am	and is filed under Exhibitions, General, New weave developments, News, Workshops. You can follow any comments to this entry through the RSS 2.0 feed. You can leave a comment, or trackback.